Flash Video (FLV) is a file format with the extension FLV used to deliver video over the Internet using Adobe Flash Player versions 6-10. Flash Video content may also be embedded within SWF files. It is viewable on most operating systems, via the widely available Adobe Flash Player and web browser plug-in, or a third-party program such as MPlayer, VLC media player, Quicktime, or any player which uses DirectShow filters (such as Media Player Classic, Windows Media Player, and Windows Media Center) when the ffdshow filter is installed. 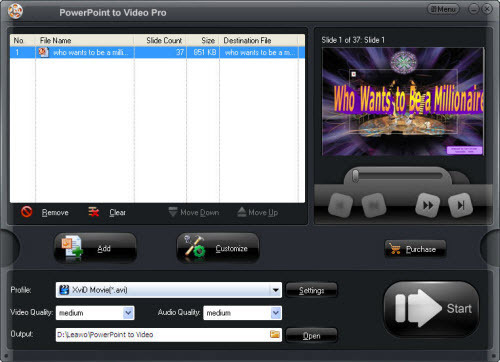 PowerPoint PPT to FLV Converter from UFUSoft can convert PPT to Video and convert Presentation PPT to FLV without lossing the original video clips or music, movie clips. Besides that, PowerPoint to FLV Converter allows you to customize video settings like add background music, upside down videos. Set bit rate, frame rate and video size are supported as well. Steps to use PowerPoint Presentation to FLV Converter to convert PowerPoint to FLV. 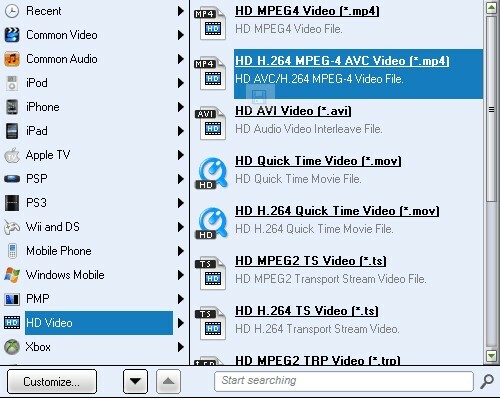 One the Settings interface, select FLV as the output video format from the Format drop-down list and click Next. You might have seen that there are some options for devices. If you are going to play the video on a device, then choose the device as the output format, for the default settings are optimized beforehand. In that case, you no longer need to worry about the quality of the target video. After everything is ready, hit the Start button to start converting PPT to FLV. The conversion should be finished like a breeze. After the conversion, You can upload the converted video to video-sharing websites like YouTube, Myspace, blog, homepage, etc. to share your PowerPoint presentation with people around the world. * Windows 8/7/Vista/XP/2003 systems are supported. * Compatible with PowerPoint 2000/2002/2003/2007 and 2010 32 bit. * Input formats: .ppt, .pptx, .pps, .ppsx, .pot, .potx. * Output 130 video formats: .avi, .swf, .asf, .flv, .mov, .mp4, .mpg, .wmv, etc. * Convert PowerPoint presentations in batch. * Support to customize the output video frame size. * Retain all features of the original PowerPoint presentation. * Convert PPT to iPod, iPhone, iPad, Pocket PC, Android devices and more.